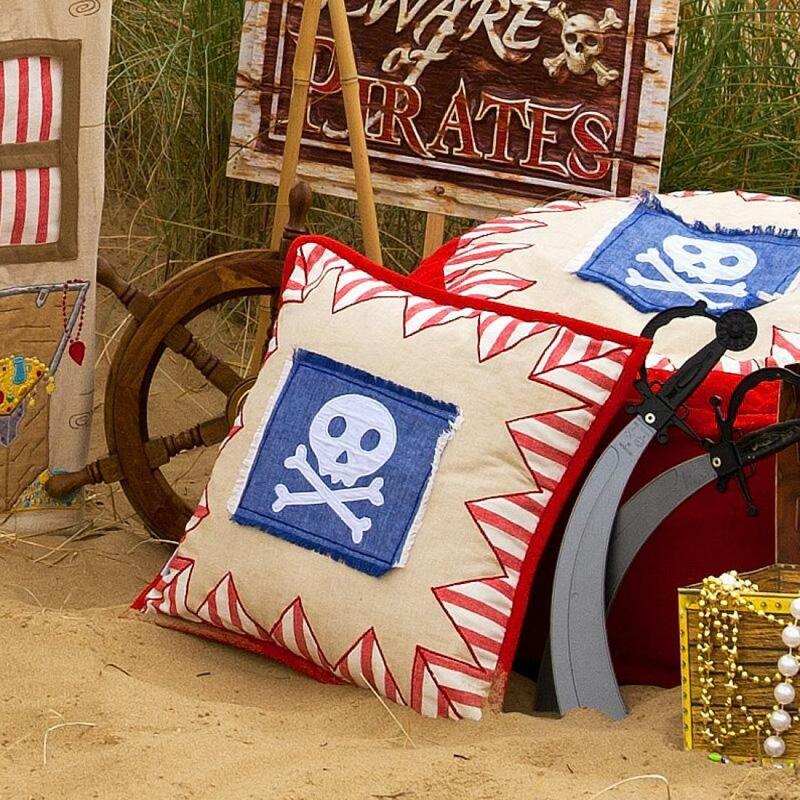 Our Pirate Cushion Cover is appliqued and embroidered with a skull and crossbones! 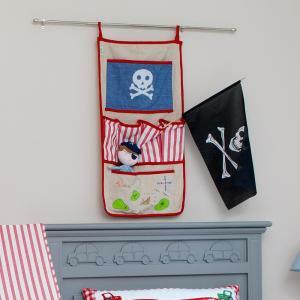 Finished with a red stripe 'bunting-style' border and red trim. 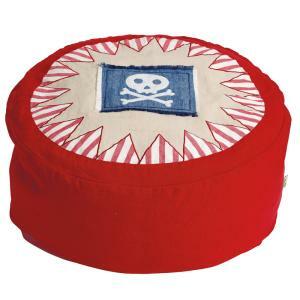 Cushion insert not included. 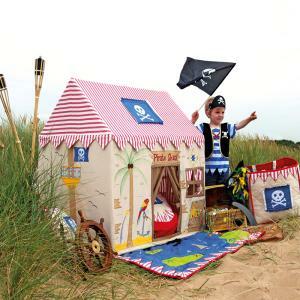 A playhouse in the style of a Pirate Shack. Wood-effect natural fabric with bright red stripey curtains and roof. 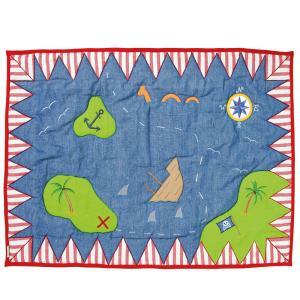 A crow's nest, treasure map and capt..